The RYA has just announced its instructor training days for London & South East. 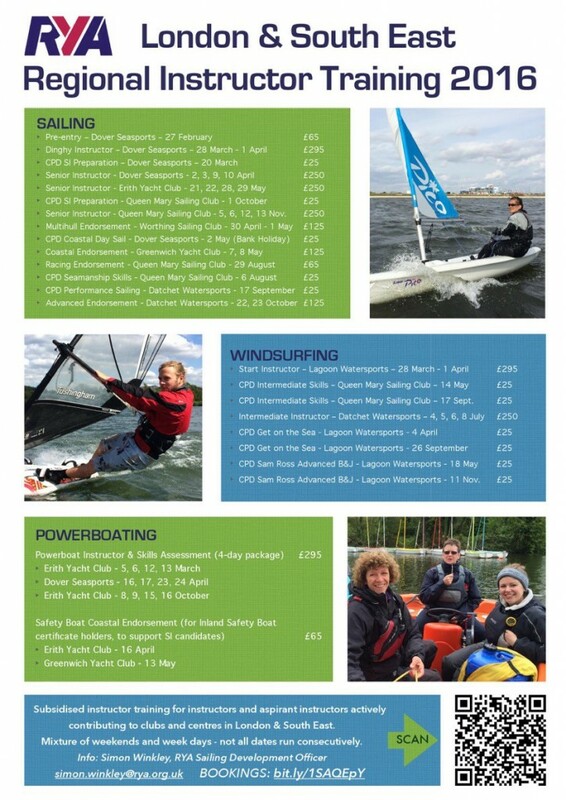 If you’re a member of CSC who is already an instructor, or a member who is seriously thinking about becoming an instructor in the future, the RYA’s career and personal development (CPD) days are a must, offering a full day of friendly and informal training with a qualified senior instructor for just £25. You can see all of the relevant dates and locations in the green section at the top of the poster (above), and book any days you’re intested in here. Still not sure what a CPD is? Take a look at this post about how our instructors just keep better better! This entry was posted in Activities & Events, Instructors & Training.